So look around you and see where YOU can see God's fingerprints. Is it in nature? Kids? Animals? Where do you see them? Here's how to join. 1. Blog with your interpretation of God's fingerprints. Be sure to link back here so others can find the entire list of participants. 2. After you've posted your blog, sign the Linky below. Have fun exploring the other links as well! Please sign in only if you're participating. Hopefully this will make us look at things through fresh eyes throughout the week. Yesterday it was pouring rain and I was excited to put on my new rainboots. So many people in this world don't even have a single pair of shoes, let alone special ones for special occasions. 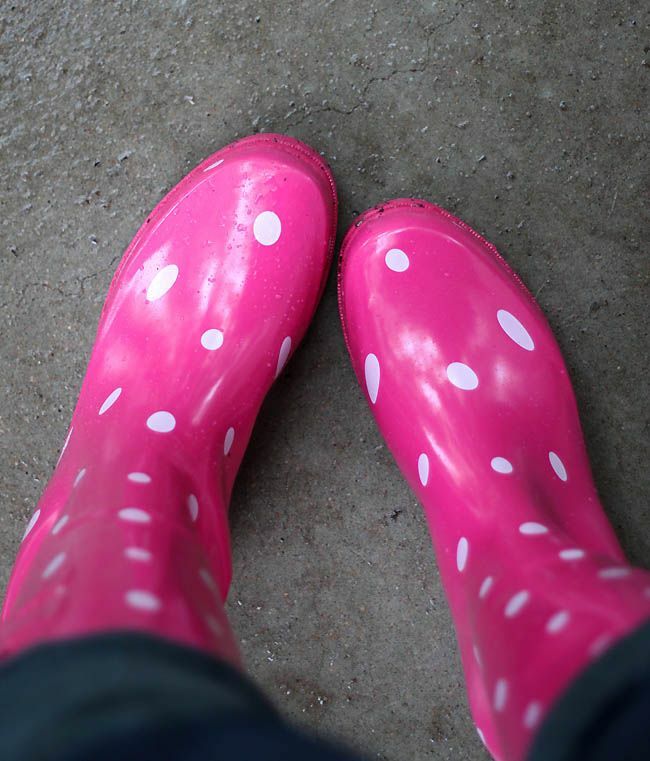 No heels for church, tennis shoes for running, boots just to look cute, wellies for when it rains. They would just be thrilled to have anything to cover their feet. We are just so incredibly blessed. Such snazzy boots! I don't have rain boots but do enjoy my reversible navy blue and bright yellow rain coat and matching hat. Our Sunday School program using the children's offering each year for a different mission. This year the offering is being used to buy shoes and soccer balls for children in Africa. Now that is a good looking pair of boots..So much to be thankful for and sometimes we just take it all for granted..I do think it is a normal feeling..but when we realize, some people have nothing to put on their feet..it is kind of shocking..We are so blessed and you are right..
so very true, Beki ! then being a channel willing to bless another with the overflow so there's purpose to my extras..
Hi sweet one...love those pink rainboots. I just wanted to let you know I got the lovely necklace ....it is amazing my friend. Thank you sooooo much. Thanks for donating to my giveaway and adding something for ME! I have been away so I just picked up my mail the other day...I think it has been sitting in my box for a while. I love getting the mail when I have such sweet things waiting for me.